It's mid-April, so it's time to start thinking about Mother's Day gift ideas. You've got a whole month to plan and create. 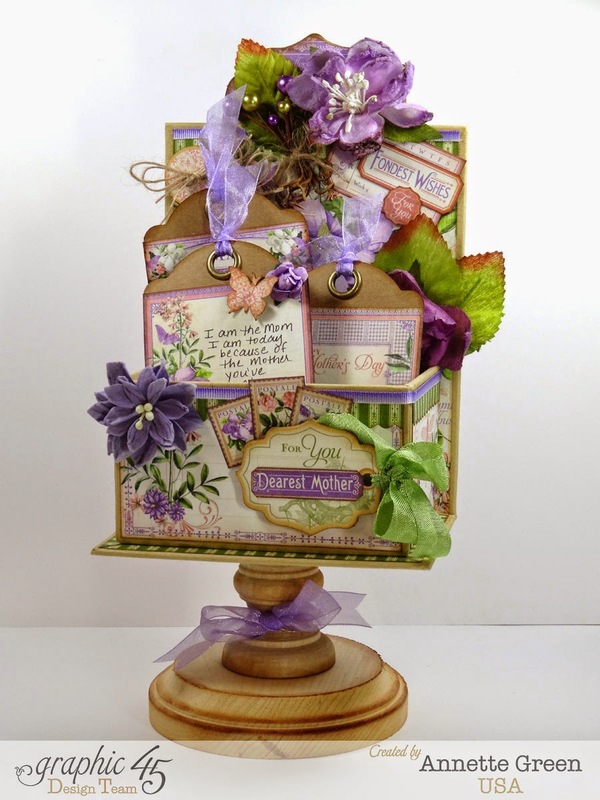 All week Graphic 45 is showcasing their ATC Book Box. Each of the designers were asked to design their own unique creation and mine is featured there today alongside DT members Ginger and Yumi with their fabulous creations. Ours are all so different, so there's a really great variety of ideas. I created a table top display piece for my mom for Mother's Day. I used the beautiful Time To Flourish collection and have provided a Snapguide tutorial so you can try one yourself. Remember, even though I did a Mother's Day box, you could simply switch the papers and create all sorts of themes. How about graduation, with gift cards inside? Or, a birthday box with balloons popping up? Okay, now hop over to the Graphic 45 blog and check out my guide and the other's projects. And thanks for stopping by. Have a great day! Wow ,this is charming. Love it ! Simply stunning. Glad there are details on the G45 blog.